Magnolia Pet Turf is a durable Pet Turf system specifically developed for your four-legged friends! 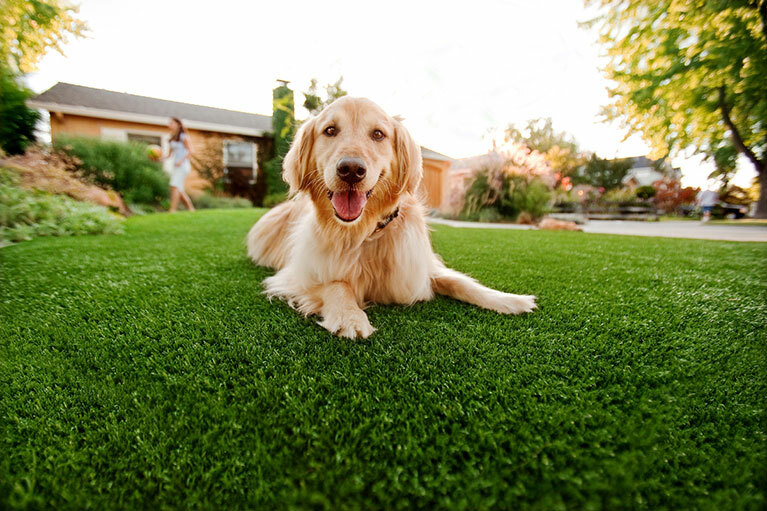 Pet Turf is offers a safe, fun and low maintenance area for you and your pets. Our products guarantee your lawn will not fall victim to brown spots, muddy holes or buried bones. Pet Turf is perfect for front yards, back yards and dog runs of all sizes due to its “look good & feel good” nature. Dogs large and small–from Chihuahuas and Pit Bulls to Great Danes can enjoy our Pet Turf system! Animal shelters, boarding kennels and dog parks love our products because Pet Turf can withstand the roughest play. Pet Turf is extremely durable and is well equipped with our proprietary turf backing technology designed where each blade is triple reinforced through tuft bind technology which is incredibly resistant to pull force, making sure your yard stays intact as your pup plays all day!